We are open Monday through Friday from 8:00 a.m. to 5:00 p.m. For your convenience, we are open on Saturday by appointment from 9:00 a.m. to 1:00 p.m.
Is it necessary to get three repair estimates for my insurance company? You only need one estimate to get the process started with your insurance company. However, we encourage you to shop around. Then you will know that the prices we offer are the most competitive in the area. And remember, our estimates are always free. My insurance adjuster recommended a particular body shop. Do I have to use that shop for my repairs? No. You can use any repair shop you prefer. In our experience, most insurance companies will send their representatives to any repair shop you choose to do the work for you. 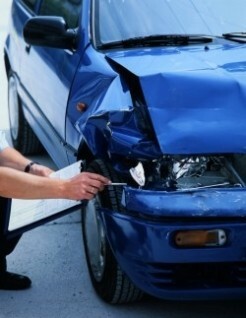 Is the insurance company responsible for paying you for repairs? No. Although we work directly with your insurance company to make the process as simple for you as possible, the responsibility for payment rests with you, the vehicle owner. Can you tow my vehicle and help me get a rental car? We sure can! We are partnered with towing companies and a vehicle rental agency to help you through the process. We do our best to minimize the disruption of being without your car. How long will it take to get my car repaired? Because every situation is different, we can’t give you a “one size fits all” answer. However, to assist you with your planning, we will include an estimate of the time we’ll need to complete the repairs.